WASHINGTON, DC. (THECOUNT) — Rep. Alexandria Ocasio-Cortez, who credits social media with her rise in the national spotlight, has given up on the most popular social network of them all. Facebook. Ocasio-Cortez, 29, who burst onto the national stage after defeating a high-ranking incumbent, said her departure from Facebook was a “big deal” because the platform was crucial to her campaign. 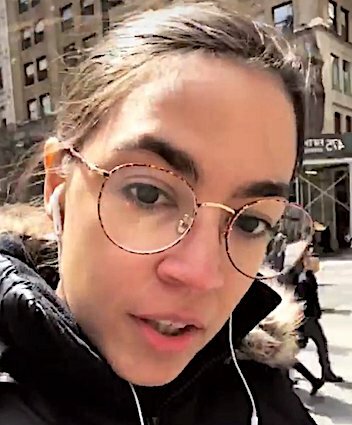 She still has accounts on the site, she said, and according to the company’s ad library, her official Facebook account has dozens of active advertisements sponsored by Alexandria Ocasio-Cortez for Congress. Among the Facebook ads are calls to support her signature Green New Deal, and fundraising pleas to support progressive legislation and to counteract a super PAC aligned against her, reports WashingtonPost. “The congresswoman’s words speak for themselves,” said Corbin Trent, a spokesman for Ocasio-Cortez.